The businessman, author and columnist Harvey McKay once said, “Time is free, but it’s priceless.” The power of how we spend each minute of the day has the potential to change our lives, even change the world. So, whether you work for or own a business, gaining control of your time will lead to higher productivity and efficiency. So, how do you spend your time each day? We all have those moments where we’re stuck doing something our talents aren’t best suited for (i.e. cleaning out the breakroom fridge) and dream of those elusive projects we’d love to tackle if we just had more time. After all, time is money, so implementing ways to save us time is a solid approach to growing our business. With jam-packed schedules, it can be hard to find time for ourselves, which is why we live amidst a whirlwind of time-saving apps and gadgets. One way technology helps us save time is by automating small, repetitive tasks. Automated emails, for example, help us stay in contact with customers, letting them know about promotions, giveaways, feature updates, or even just giving them a quick way to reply with concerns or questions. What you may not know is that there is an ocean of integration possibilities out there. And you don’t need to be a web administrator or computer software engineer to set them up. Thanks to integration applications such as Zapier, setting up a custom integration is now available to the masses. In this article, I’ll show you five integration recipes that will connect a ShortStack form with various applications you may already use everyday. Zapier works directly with ShortStack’s webhook. So, if these five apps aren’t in your wheelhouse, there are literally thousands more to choose from. Webhook sounds like a scary tech term, but I assure you, you too can become a webook expert. Webhooks are defined as “user-defined HTTP callbacks.” But the easiest way to understand what a webhook is, is to understand how it works. A webhook is triggered by an event, at which time, it sends information to another application. That’s it! 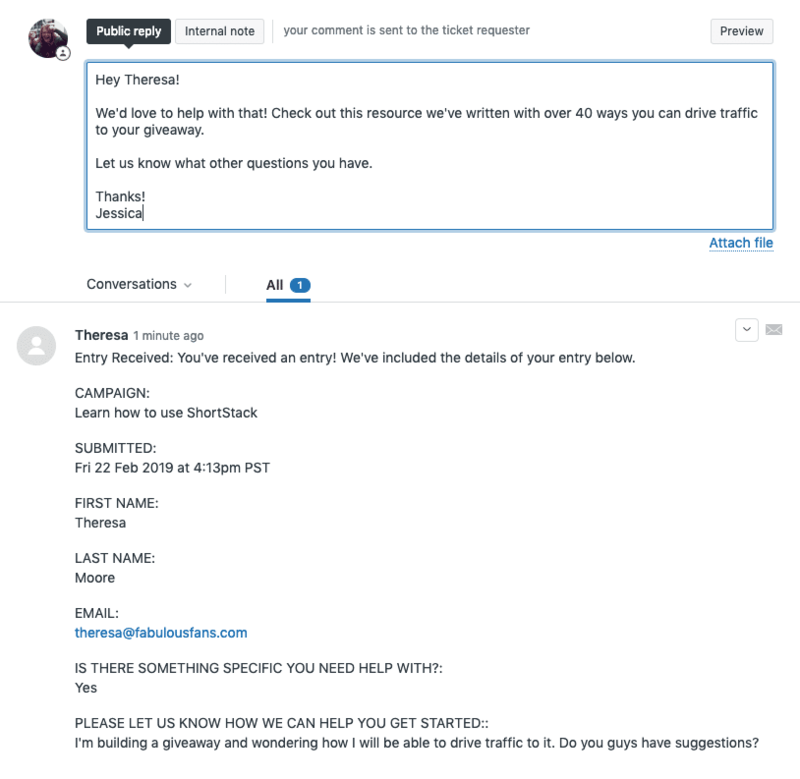 A really simple example of a webhook would be between an entry form and your email marketing service, such as MailChimp. A webhook can be set up to send information submitted into a form — i.e. name, email address and whether or not they would like to be subscribed — directly to your emailing list (as long as they opted in to subscribe to your list). As you can see, automated integrations save you the manual effort of exporting data, filtering it, then importing it to another app. 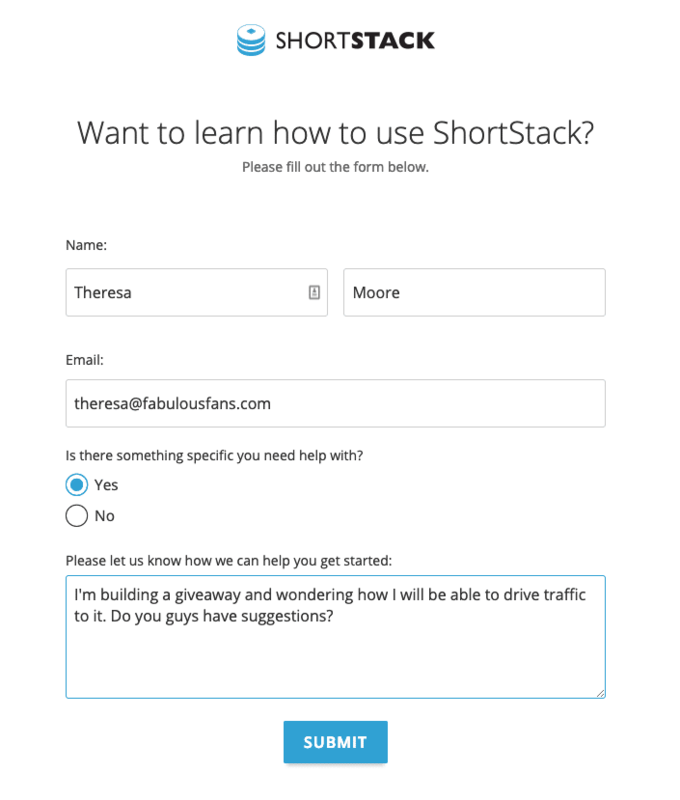 First, in ShortStack, build a campaign that includes an entry form. If you’re new to ShortStack, this Getting Started Guide will show you the ropes of how it’s done. You’ll need to publish your campaign before you can set up the webhook. 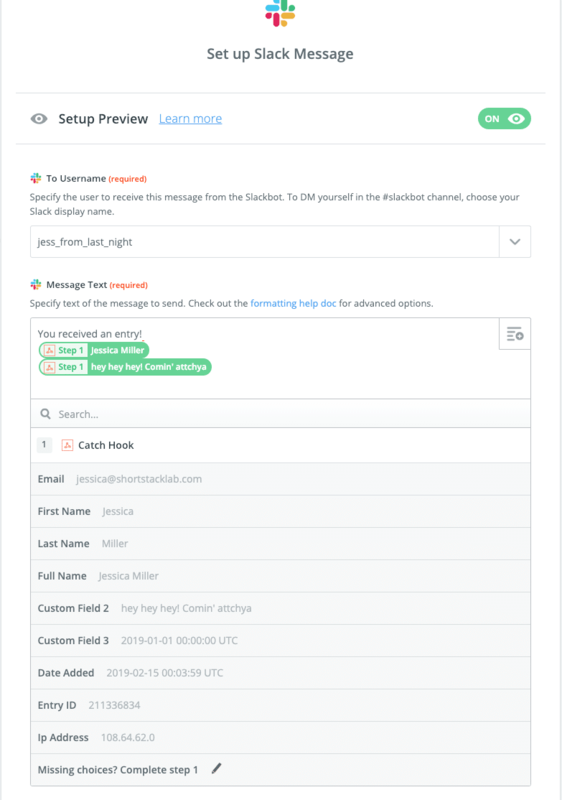 Once you have a live campaign with an entry form, the video above will walk you through setting up a zap using the ShortStack webhook and another third-party app. The app in this video is VerticalResponse, but the first steps — setting up the webhook in ShortStack and catching the hook in Zapier — will be the same for all of the integration recipes in this article, or for any you’d like to set up on your own. Slack is the instant messaging tool that’s changing the way work gets done. Slack dominates the instant messaging app market for good reason – it integrates easily with lots of applications, it offers tools for staying organized and quickly retrieves information. 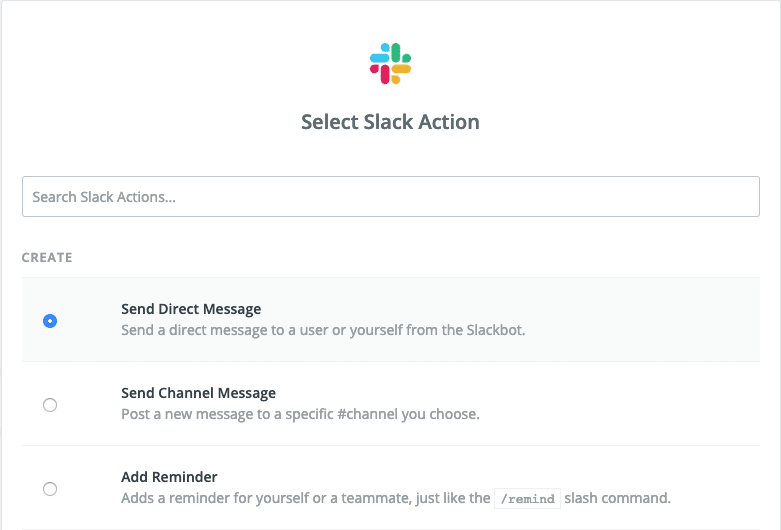 When setting up your zap, select Slack. You have several options for how you’d like your entry data delivered. You can have the data delivered to a channel in slack — this is great if team collaboration is needed. Or, you can have the data delivered directly to you via your friendly Slackbot. When setting up the template for your Slack integration, you’ll be able to choose which form fields you’d like included in the Slack message. As you can see here, I’ve selected the Full Name field and the Custom Field 2 to be delivered to me via Slackbot. Slack gives you some really fun customization options, for example, you can customize the bot delivering the entries. I can’t think of a practical application for this apart from impressing your coworker friends, but hey! Have some fun with it. As always, test your zap! 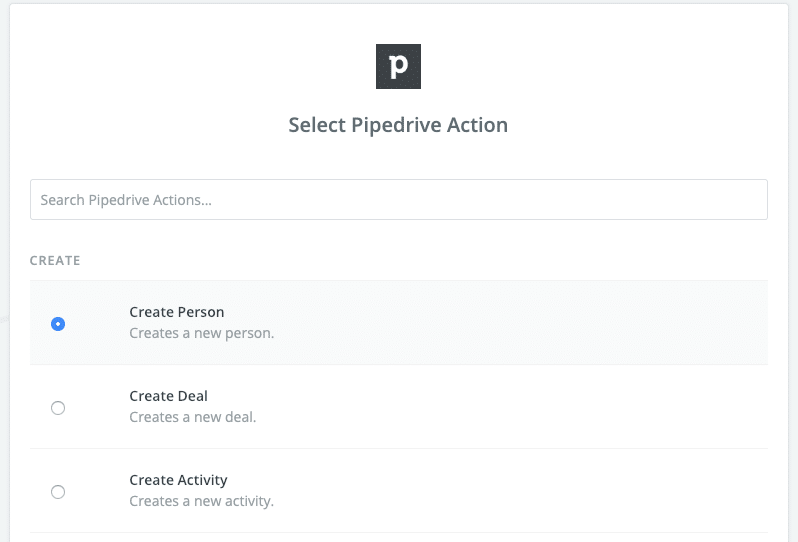 Pipedrive is a simplified customer management application that allows you to collect prospect information and assign next step tasks to keep the sale’s wheels in motion. When driving traffic to your website, collect qualified lead data in an embedded entry form. Then deliver this prospect info and automate the task assignment so your sales team can take the next step in converting those prospects to customers. Here’s an example of a lead submitting an entry form. With this type of integration, the lead is added directly to Pipedrive with an assignment for the sales team to follow up. Here’s what it will look like in Pipedrive when it is received. Mapping the fields for your integration is fairly straightforward with Pipedrive. As you can see, the platform will organize basic contact data, as well as assign the new prospect to a member of your team. You’ll be able to store custom field data as well. Don’t forget to test your Zap! GoToMeeting is a widely used webinar application with all the bells and whistles you’d want to address a large group of people via digital means. A webinar is a great way to grow your business – whether it be to help your software users be more successful, to help you sell your products, or to just gain interest for a service or more in-depth online course. 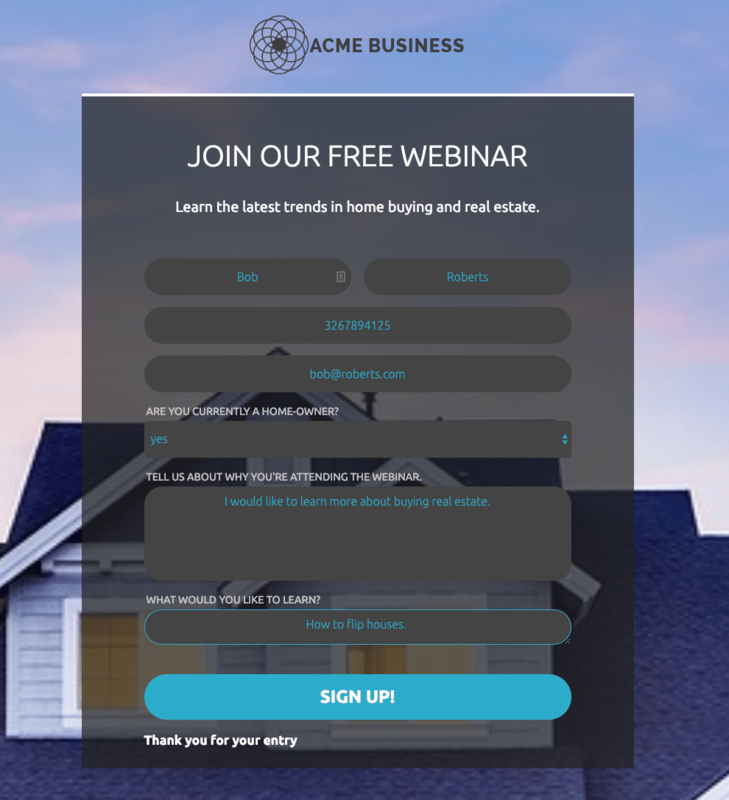 Use an entry form to collect registrant data for your webinar, so you know a little bit more about the audience you’ll be speaking with. 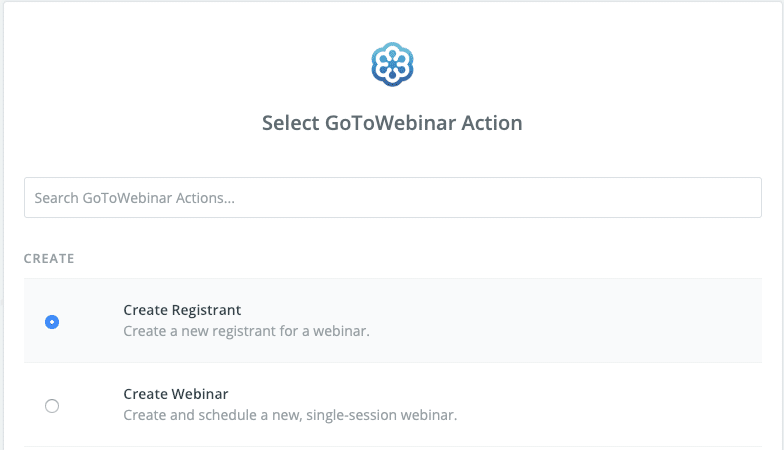 Since my webinar is already created, I’ll select “Create Registrant” for this automation. Next, when mapping your fields, decide which information you’d like to use to sign participants up. Make sure to test your zap! Asana helps keep the gears turning in your well-oiled work machine. 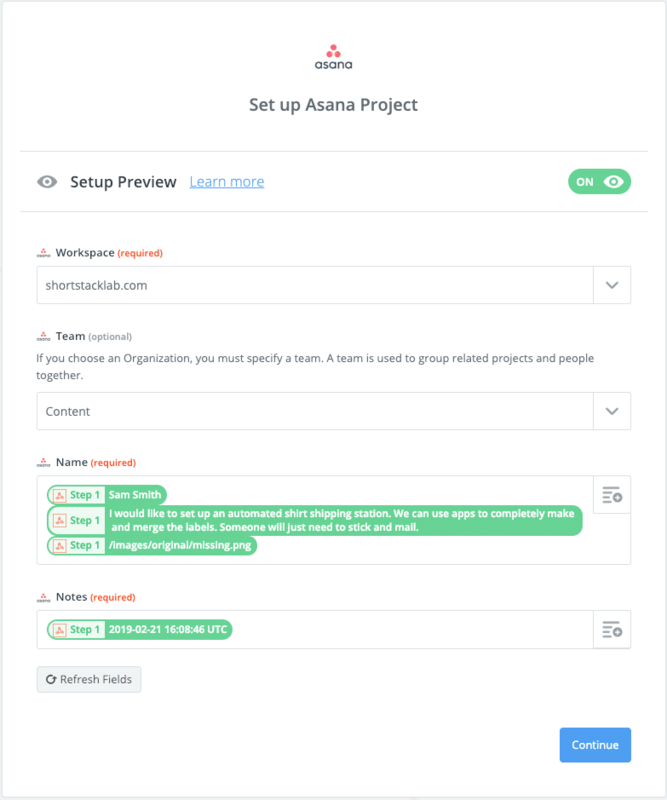 Everything can be assigned and managed within Asana, from big-picture projects to the granular tasks that make up those projects. You never need to wonder “what are they working on?” with the transparency offered by this task-management app. Do you ever hear a great idea, and think, “I gotta write that down!” Just then, another distraction intercepts it and the good idea is lost forever. 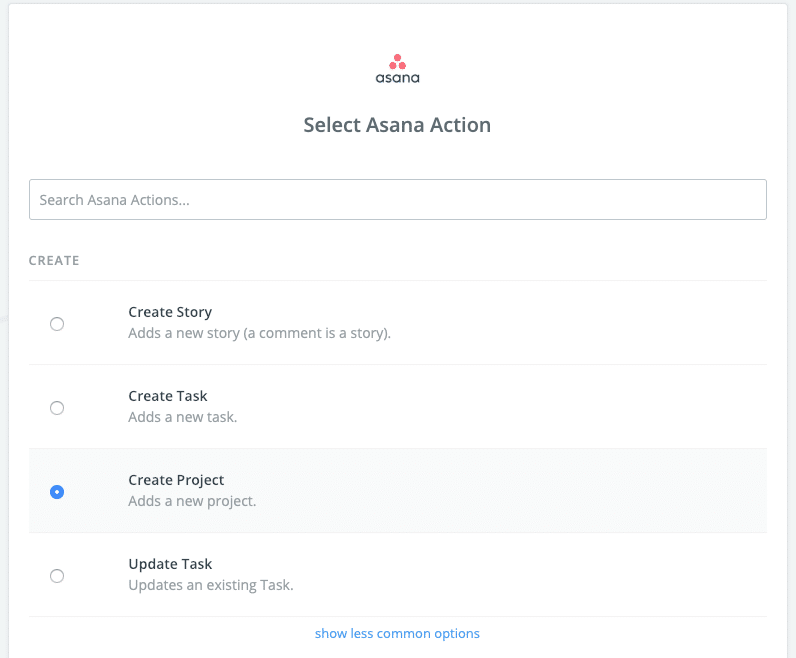 With an integration with Asana, you can collect that stream of ideas into a project. From there, the projects can be broken down by task and assigned out. Voila! No more lost ideas. Project ideas can be collected from your internal employees, but could also be collected as feedback from your customers. Whether your entry form is internal or public-facing, here’s how to set up an integration with Asana. When mapping the fields from your form to Asana, you’ll need to keep in mind your current Asana set up. For this integration, the new project will be assigned to a specific team. Also, choose where you’d like the data in the form fields to go. I’m adding the name, project description, and image (if there was one submitted) to the new project. In the notes section, I’m adding the date and time this idea was submitted. 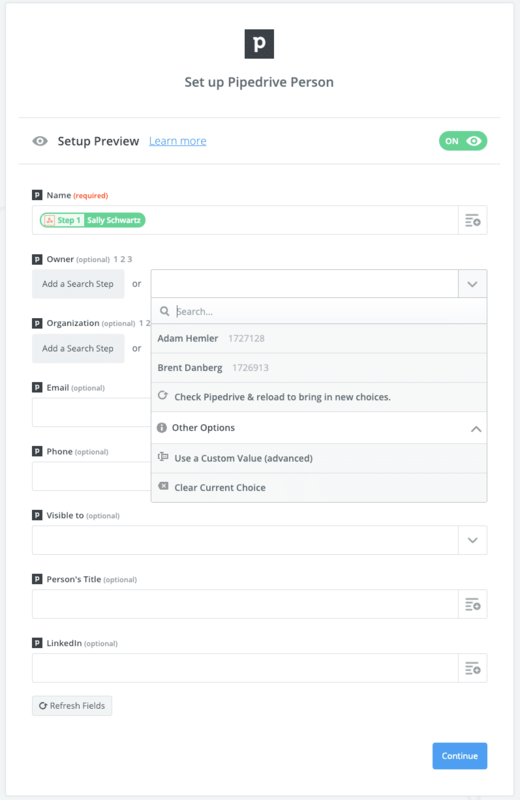 With ShortStack, there are a number of ways you can automate your business without any webhook fuss. No matter what type of business you’re in, if you have a team of employees assigned to helping your customers, a customer support client like Zendesk is a must have. 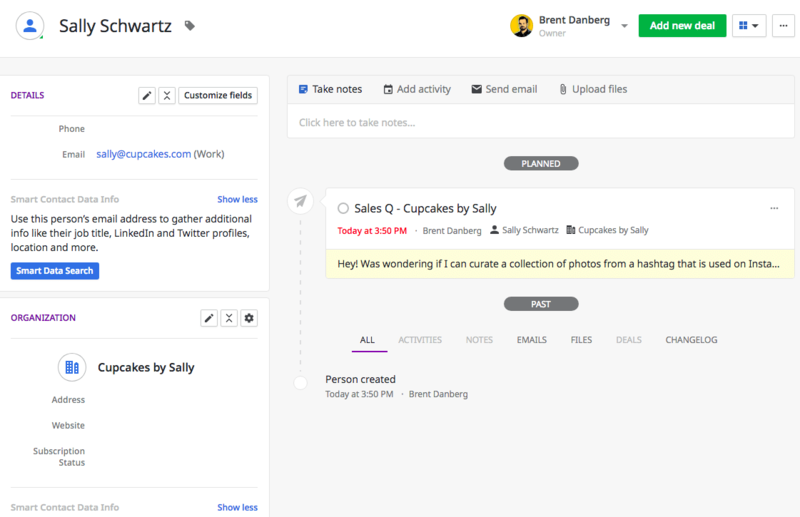 Zendesk helps you organize new help requests and keeps track of previous communications. One of the benefits of using Zendesk to collect support requests, over, say, an email account, is that multiple people can help manage requests from the same interface. With email, one person receives the requests, and may not always be looking at their computer. 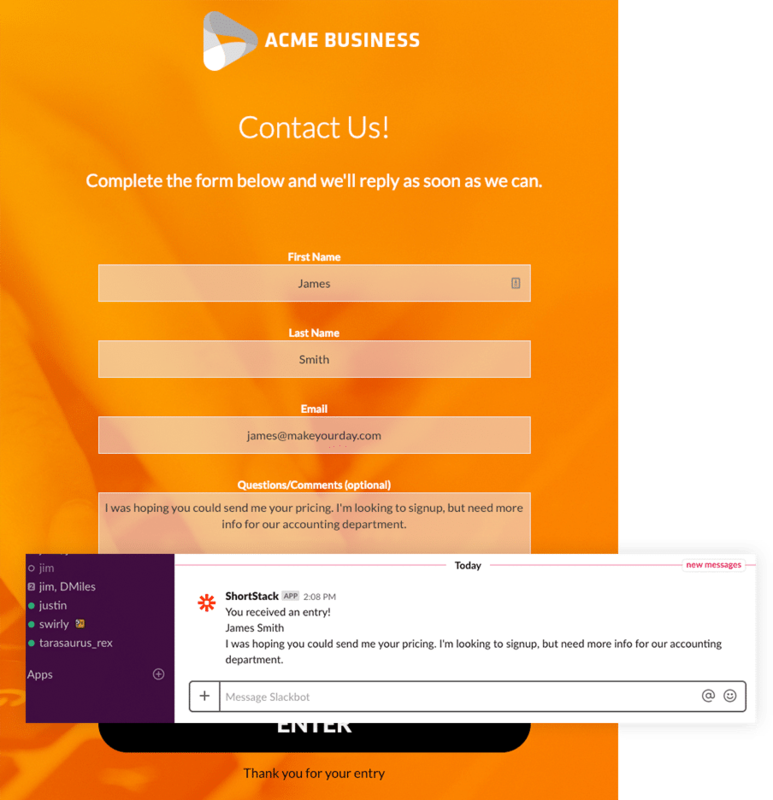 In this use-case, a form is used to check in with new customers – to see how their experience has been so far and ask if they need any help. 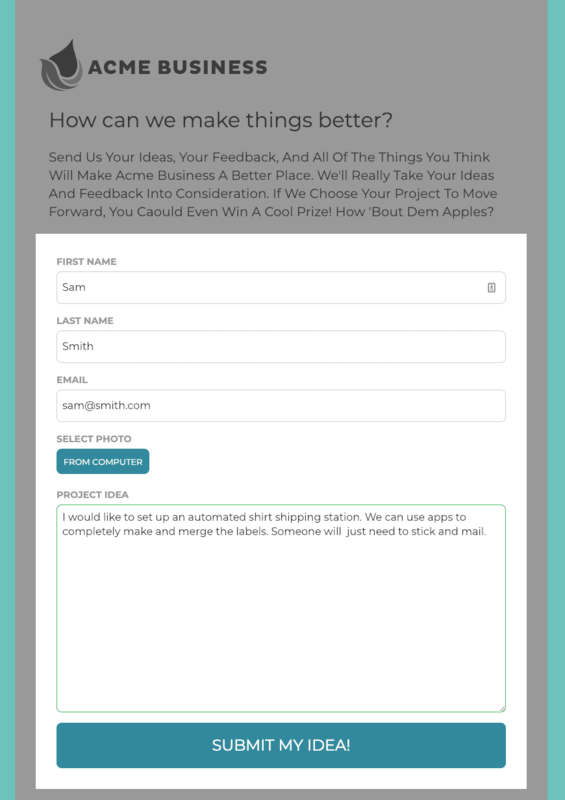 To do this, create an entry form that displays within your app or online store. 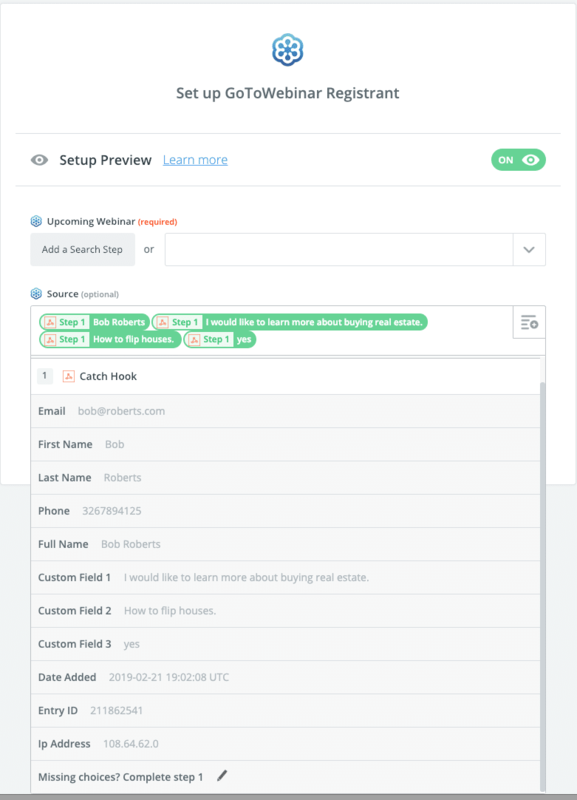 Collect onboarding info from your customer. When you add your support email address to ShortStack’s Form Designer, that info will be sent directly to Zendesk where one of your trained support staff can address it. One of the benefits of using ShortStack in tandem your third-party apps is that the entries are stored within your ShortStack account as well as within the apps you’ve integrated with. Plus, ShortStack offers a number of email automations that make entry collection and email follow-ups a seamless, streamlined process. 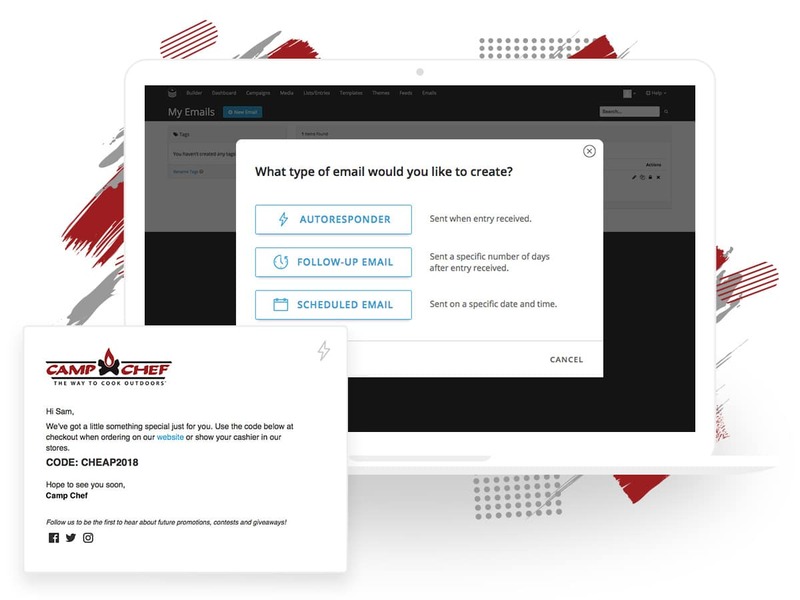 So, with the entries you’ve collected in your entry form, set up an autoresponder email (triggered immediately after form entry), a follow-up email (sent a specific number of days after the entry was collected), or a scheduled email (sent on a specific date and time, regardless of when the entry was collected). 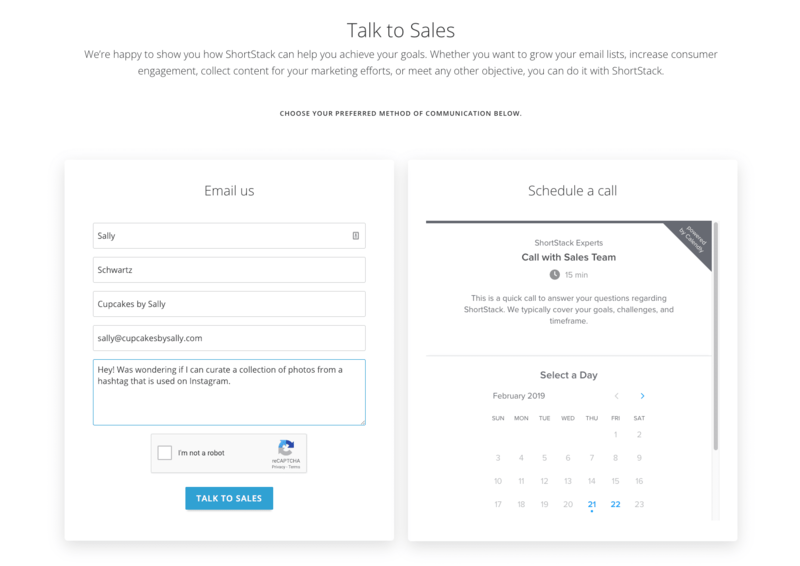 Learn more about setting up a successful email campaign with ShortStack in this article. The next time you can peel yourself away from tasks that aren’t serving your business, take a few minutes to browse Zapier’s endless offering of app integrations. After all, a small investment of the time it takes to set up an automation may be worth it in the long run. To boot, automations can help you be better connected (with customers and employees) and stay organized.